Explore Tunisia, from the Roman sites of the north to the vast desert of the south and the tranquil island of Djerba. A comprehensive tour of Tunisia, visiting the famous sights of the north before plunging into the remote Sahara desert and ending on the Mediterranean island of Djerba. In Tunis, you can explore the UNESCO protected old town and enjoy excursions to Sidi Bou Said and Carthage. Moving west you'll stop at impressive Roman ruins, before heading on to the holy Islamic city of Kairouan, a short distance from the breathtaking amphitheatre at El Jem. After a few days exploring the awesome Sahara, the trip climaxes with some rest and relaxation on the charming island of Jerba. Arrival at Tunis Airport. Transfer to the Golden Tulip Gammarth Hotel where you will stay for the next 4 nights. Remainder of the day at leisure. There are a number of factors which will influence the price of your travel arrangements, including the standard of hotel, the season, the duration of your trip, the level of private guiding and the complexity of the itinerary. 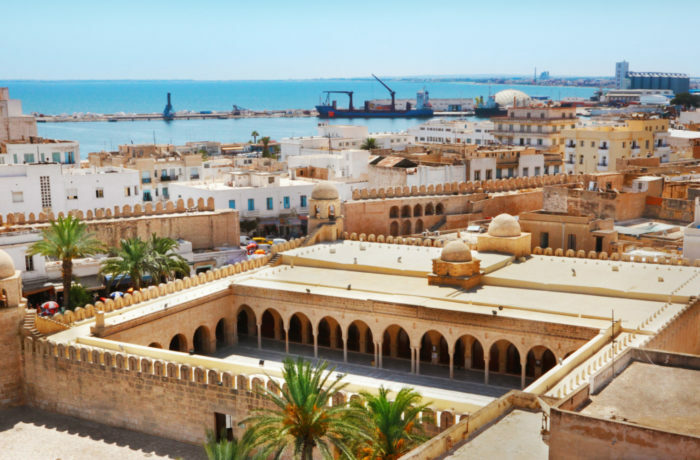 A comprehensive tour of Tunisia, visiting the famous sights of the north before plunging into the remote Sahara desert and ending on the Mediterranean island of Djerba.